The ergonomically shaped Puma? 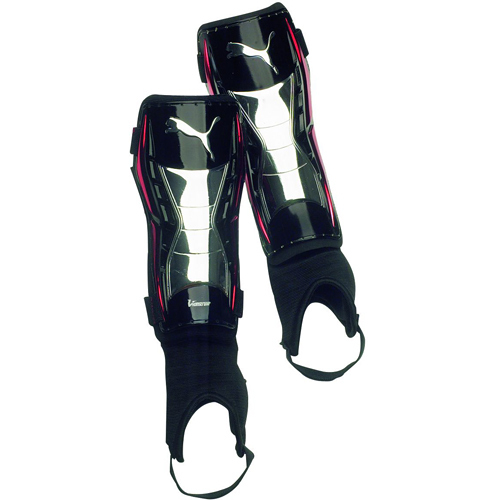 v-Kat soccer shin guard features an external high-impact PP shell for excellent fit and protection. The EVA backing with velvet lining closest to the shin combines high shock absorption and comfort. The thin padded sock protects the ankle and achilles tendon area.